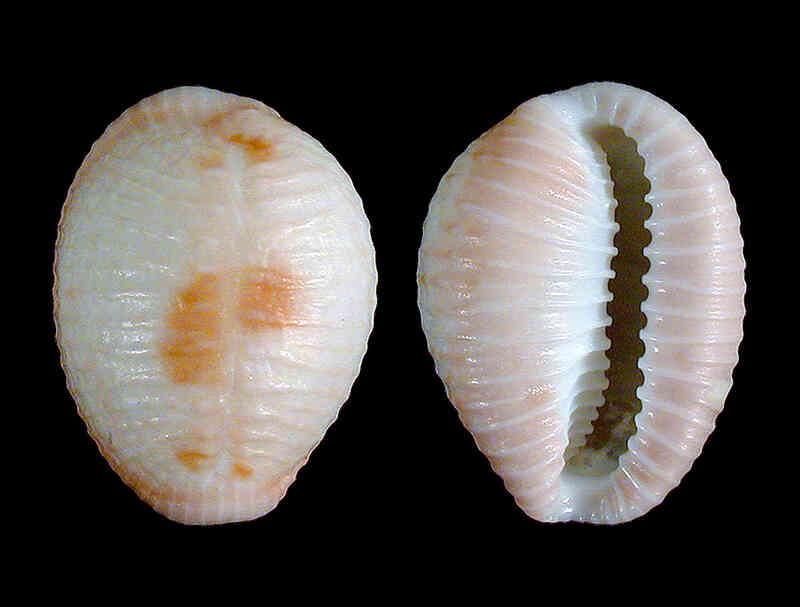 Shell size to 12 mm; shell outline elliptical, with an impressed furrow along dorsal middle line. Sculpture of strong radial ridges that originate from furrow to cover entire shell, about 16 to 19 ending up on aperture. Color buff superimposed with three irregular, darker patches of chocolate-brown on dorsal side. On grassy bottoms.